September? Where did that come from?? You still have a few days to check out and subscribe to the September Paper Pumpkin. this month, the Kit comes in a super “spooky” designer box, and although it’s still going to be a surprise, we know that through sneak peaks, there are 24 of what ever is in there!! Why should you subscribe to Paper Pumpkin? Every kit includes an exclusive stamp set that you can use over and over! Since all the prep work is done, the projects take a shorter time to complete, making it the perfect on-the-go craft. Heading out of town? Grab a kit to put together during your downtime. Each monthly project fits in one little box so you can take it anywhere!…. and so much more. If you have any questions about the Paper Pumpkin program, shoot me a quick email or give me a call. 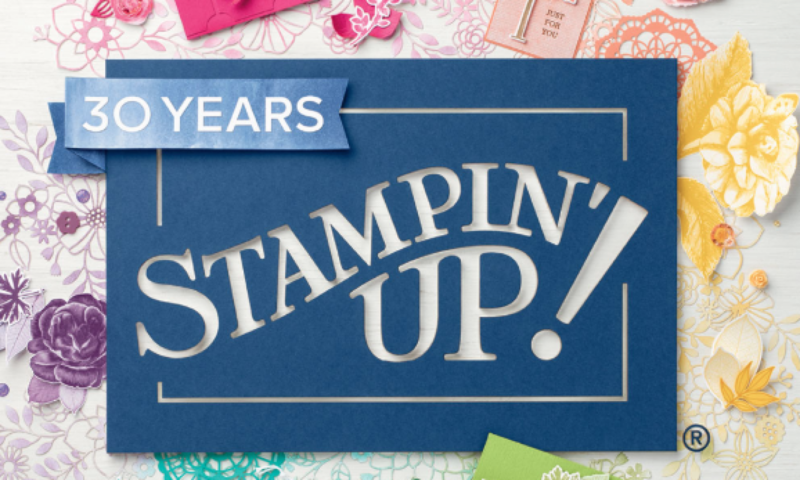 Have you been waiting for just the right time to host a Stampin’ Up! party? Do you love gorgeous Designer Series Paper? If you said “Yes” to both questions, this may be the perfect time for you to let me know. Check out the details here. What’s the occasion? Right now if you host a party with $300 CAD in sales, you will earn the exclusive Dashing Along Designer Series Paper for FREE. This offer ends on September 30, so don’t wait! Get ready to take advantage of this exciting offer today! Now is the time to redeem your bonus points, earned in August! When you place a purchase in the month of September, you will go to the “Manage your Coupon Codes” box and either copy and paste your codes from your emails, or type them in. For each code entered, you will receive $6 off that purchase. You can use as many codes as you like. I decided it was time to use my Animal Outing Stamp Set today. I cased this card from one of my favourite YouTube stampers, Dawn Griffith. Check out the Animal Outing Bundle, which includes the framelets and stamps. This set is available as clear mount (meaning you mount the rubber stamps on clear blocks), or wood mounted, (meaning you mount them on the included wooden blocks). It’s been calling my name for a while now. I made my own “DSP” by stamping Very Vanilla Card Stock with the branch stamp from the set, using Sahara Sand. I used a masking technique to make the animals appear as if they were standing behind one another, stamping with Memento Tuxedo Black and colouring with the Stampin’ Blends. I used the lights and darks of crumb Cake, Smokey Slate, Daffodil Delight, Old Olive, as well as Bronze, Light Bermuda Bay, and Calypso Coral for the bird’s beak. I’m absolutely delighted to have become an Independent Demonstrator for Stampin’Up. As an avid quilter, colour and texture call my name on a daily basis. Of course, being a quilt shop owner, (feel free to visit my store in Cobourg, ON in person or online ), sometimes you just need a change of scenery. Enter the world of paper crafts. I’ve always admired hand made cards and sentiments and over the past few months, I’ve been dabbling in the art of card making. As time allows, I’ll continue to post my cards and doo-dads and hopefully, you’ll join me in the fun. I made this cute card, for a long time customer, who has not been in our quilt shop lately, hopefully because the weather hasn’t been exactly elderly-friendly. I used the Pretty Kitty stamp set. You can find it here. I welcome you to browse the Stampin’Up site and be sure to let me know what questions I can answer or to set up a stampin’ evening, with some friends and family.